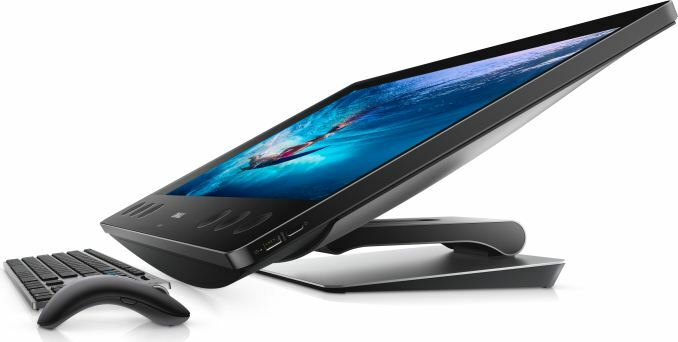 Dell has launched a new version of their XPS 27 all-in-one gaming PC. The VR Ready flavor of the XPS 27 has the same 4K display and the same 10-speaker audio sub-system as the latest iteration of the large XPS AIO, but is powered by a more powerful CPU from Intel along with AMD’s discrete Radeon RX 570 graphics board. AIO PCs have existed for decades, with their continued popularity fueled by their compact, desk-sized footprint. In the recent years demand for higher performance and even gaming-grade all-in-ones increased noticeably, and manufacturers started to offer AIOs with rather powerful hardware. In fact, in early 2016 several PC makers even introduced Mini-ITX-based AIOs with top-of-the-range discrete graphics cards aiming at customers seeking for maximum performance. Dell’s new XPS 27 with the VR Ready badge are designed for gamers with average requirements for performance. The systems are still considerably more powerful than their predecessors launched earlier this year are because they do not use integrated or mobile graphics, but rely on AMD’s Radeon RX 570 (2048 stream processors, 128 texture units, 32 ROPs, 256-bit memory bus, etc.) graphics adapter with 8 GB of memory. Meanwhile, the key feature of the latest XPS 27 remained intact: the audio sub-system with 10 speakers (six on the front, two down firing and two radiating) designed to enable surround sound without using bulky external audio equipment. The VR Ready versions of the Dell XPS 27 are based on Intel’s Core i7-7700 CPU as well as the H170 PCH. By default, the systems are equipped with 16 GB of DDR4-2133 memory, but that is upgradeable to 64 GB. As for storage, the PCs have one M.2 slot (PCIe 3.0 x4) as well as two 2.5” bays for HDDs or SSDs, all accessible to the end user. 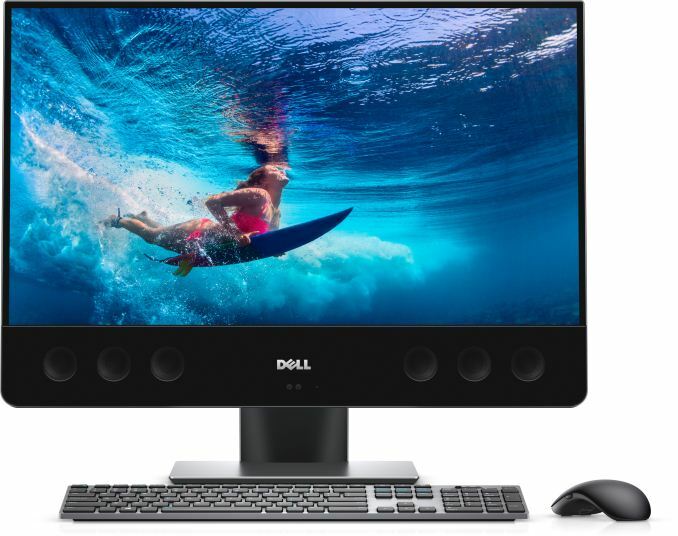 When it comes to connectivity, the Dell XPS 27 feature 802.11ac Wi-Fi, Bluetooth 4.x, a GbE port, five USB 3.0 Type-A headers, one HDMI output, one DisplayPort 1.2, two Thunderbolt 3 ports (USB Type-C), an SD/MMC card reader, a 720p webcam with an IR sensor for facial recognition, a microphone and so on. Overall, there are plenty of ports to plug-in additional peripherals, including various VR gear. 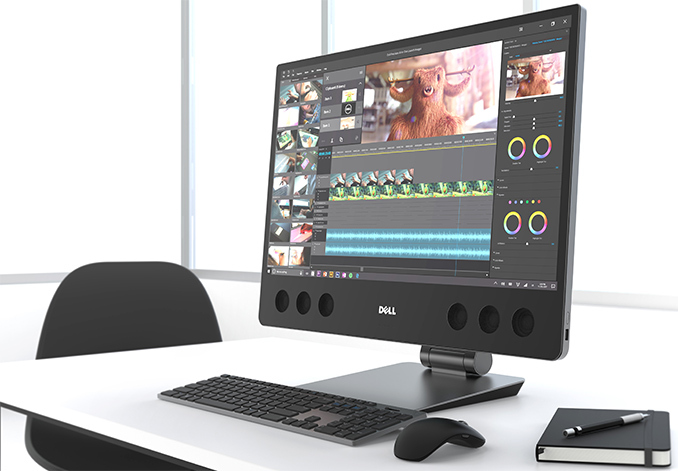 All Dell XPS 27 AIO PCs are constructed of CNC-machined aluminum and come with UltraSharp displays with a 4K (3840×2160) resolution. Meanwhile, computers with touch-enabled screens also feature articulating stands for added convenience. The stand comes at an extra cost, so some gamers may prefer to install a larger SSD and/or more memory and skip the touch option. At present Dell offers two versions of the VR Ready XPS 27 featuring Intel’s Core i7-7700 CPU and AMD’s Radeon RX 570 GPU, but different storage configurations and touch support. The model with a 2 TB HDD and 32 GB caching SSD costs $1999.99, whereas the model with a 512 GB PCIe SSD, a touchscreen display with articulating stand and optional Windows 10 Pro comes at $2,649.99.